Taste the Seasons! 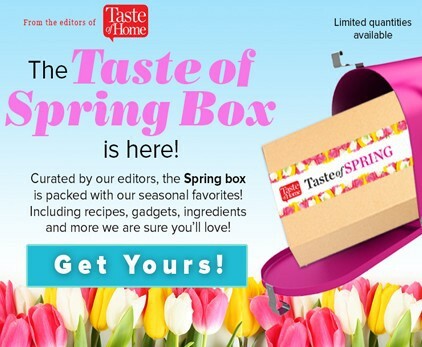 Curated by the editors of Taste of Home Magazine, the Taste The Seasons Quarterly subscription box is packed with our seasonal favorites! You’ll discover seasonal recipes, fun gadgets, yummy ingredients and more! Save 15% when you subscribe! How would you rate Taste the Seasons ?